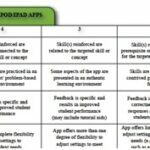 This popular resource provides 115 pages of free applications and resources and insights into how educators are using them in today's classrooms! 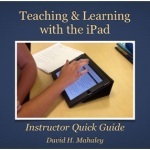 This digital booklet provides an introduction and easy access to many of the wonderful free applications and resources available on the Internet for teachers to use in and out of the classroom as part of the instructional and administrative process. 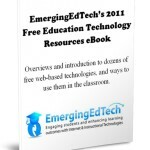 The 2013 update of this eBook is loaded with new content. There are several new sections including “(More) Flipped Classroom Resources”, “MOOCs”, “Teaching with Cell Phones & Smartphones”, and “(More) Cloud Apps”. There's a wealth of new iPad related content. The Facebook and Twitter chapters have been grouped under a more general “Social Networking and Social Learning Tools” chapter that includes articles about other popular social apps like Pinterest and Tumblr. All of the original content and links (from the 2012 edition) have been checked for validity and older, outdated material has been removed. This new update is now over 100 pages (nearly 50% larger than last year's edition)! How Do I Get My Copy of this Exciting Resource? If you are an existing subscriber, there's a link to the eBook in today's blog post email. If you are not an existing subscriber, just sign up today (see the big form above). As soon as you click on the confirming email that is sent (to make sure we've got your correct email address), you will be sent the link to the eBook. 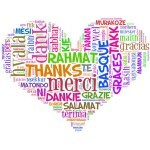 Thanks for subscribing and enjoy this excellent resource! Free eBook: 154 Brilliant iPhone (and iPad) Tips. Too Cool Not to Share.